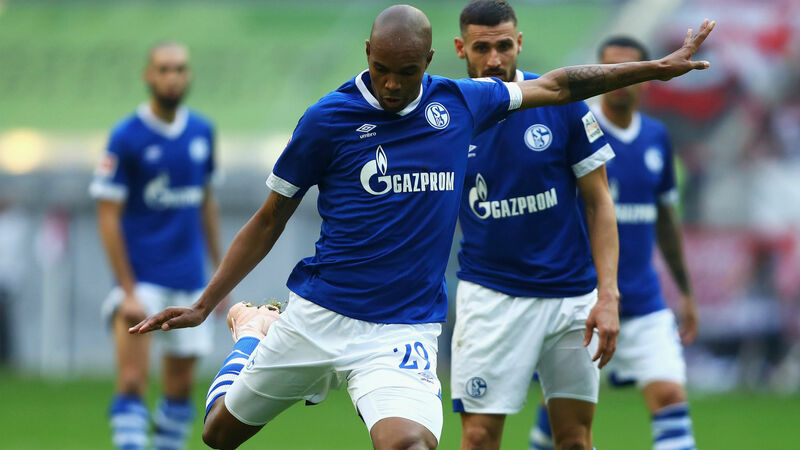 Veteran defender Naldo has agreed a new deal with Schalke to take him through to 2020. The 36-year-old joined from Wolfsburg in 2016 and has established himself as a fans' favourite at the Veltins-Arena. The Brazilian was already under contract until June next year, but has extended his stay by another 12 months. "I am overjoyed at extending my time here at Schalke," he said. "It is an enormous club with unbelievable, loyal fans who are always behind us." Coach Domenico Tedesco added: "It is great news for all Schalke fans. Naldo is an outstanding person both on and off the pitch. He is a unifying figure in the squad." Naldo helped Schalke to finish second in the Bundesliga last season, but their start to the 2018-19 campaign has been less impressive. The 1-0 win over Mainz at the end of last month broke a five-game losing streak in the league, though they followed that up with another victory at Fortuna Dusseldorf before the international break. Tedesco's side host Werder Bremen on Saturday.